How to make your blogger SEO friendly? Looking to improve SEO in your blogger. That is a very important thing for every webmaster today. Search Engine Optimization (SEO) is very important for Blogger as well as web sites owners. When you optimize on your blogger including your blog post it made on your blogger blog site more visible to peoples who are looking for keywords associated with your details via search engines like Google, Yahoo, Bing. By applying appropriate Search Engine Optimization tips on the blog it will eventually rank higher in search engine results. The Most Solid Search Engine Optimization tips applied to your blog the more you will get a higher result in every popular search. Remember, without that search engine optimization (SEO) a blogger blog is not going to follow by Google or any other search engine crawlers and there are no new visitors to visit your blog. A blog or web site without any visitors is just like a fish without water. When we are blogging organic traffic for our blog site is more necessary. It helps to make more income from our blog site and also helps to increase the web rank in the search engines. So the better you play with SEO, the more organic traffic you can drive toward your blog or web site. If you are writing unique content in your blog post but if you are not good at SEO then surely you will lose most of the traffic you deserve. There are a lot of methods to make your blog SEO friendly, you can follow On-page as well as Off-page SEO methods. 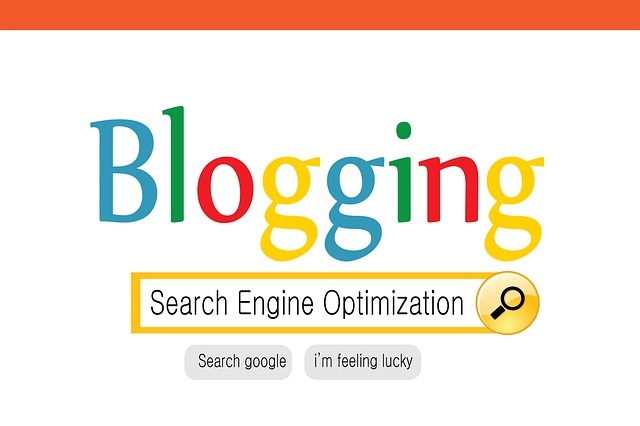 Today these tips will help for new blogger beginners to make their blogger blog SEO friendly. How to make your blogger blog SEO friendly? That is the first thing you wanted to do If you want to boost your post or page into the height of success in search engine result. Always try to add reach keywords in the post title. Also, Add relevant targeted keywords according to your post contents & make your blog post title SEO friendly by doing these all title customization inside the blogger blog template. If you are still using the particular default/classic blogger theme, then it’s time to change for a professional template. A blogger blog using default blogger template won't ever get better rank in the search engine as well as it has much fewer subscribers and visitors. For the default template, there is no specialized design & it appears to be ugly. This is actually little about building. As a beginner of the blog site, it is OK if you are still using the default theme, but with the time it’s better to move professional template. A default blogger template is just not SEO friendly as well as not robots friendly. So then why are you still waiting for? It’s time to change your blogger template & ensure it is highly friendly for everyone including search robots. Robot.txt document is telling to the search engine how for you to crawl the blogger blog. Robot .txt file give instruction to search engine crawlers and actually tell them which a part of your need to be access for robots and which regions of your blog need to be blocked forever from indexing. So by including this file in blogger it is going to bring remarkable change inside your blog traffic. permitting or disabling these kinds of options. It will eventually escape your blog from duplication data and blocked the labels and repository pages. After applying the high-quality template and robots.txt file into your blog it is better to add custom Robots header tags settings. Meta Description Tags are very beneficial for a blog because it tells search engines about the web page content. Meta tags provide the information to web crawlers about our blog posts contents so that search engines can show your blog on proper place. Meta Description summarize blog or post page for robots that what about this page is? Meta description work for blog home page as well as we could also easily insert separate meta description for blogger each post. Before starting to write your blog post its better to thinking & rethinking again what you are writing? what do you want to convey to the user or readers? What is the purpose of writing the post? After you start writing the post while writing the content use paragraphs with 4 or 5 lines in length. Remember it should not be lengthy. It’s want to be short & sweet. It should be attractive and effective for users making them read and spend time on your blog. 8. Include post’s keywords into specific parts of your post content. Add main key words into your blog post content. 9. Make sure your blog is mobile friendly. Most people’s use the search engine on their mobile phones than on the desktop. So Google will display the mobile friendly results first. Your blog post can also contain images in the content. As we all know that images convey messages better than content. That images should be with good quality and clear messages are to be used. 11. Don’t use too many similar topic tags. Topic Tags can help you to organize your blog content but if you to overuse them, they can be actually harmful. If you also have too many similar tags, you may also to search engines for having duplicate content.so be care full. 12. Link internally when possible. Inbound links to your content will help you to show search engines the validity or relevance of your content. The same here goes for links internally to web pages on your own website. 13. Use Google Search Console. Google free Search Console contains the section called the Search Analytics Report. This report will help to the analyze clicks from Google Search and it’s useful to which determine keywords peoples are using to find your blog post content. OK my friends now you have a better idea to make blogger blog SEO friendly. Now your blog is ready to get more organic traffic. So enjoy your blogging. Thank you for reading - How to make blogger SEO friendly?